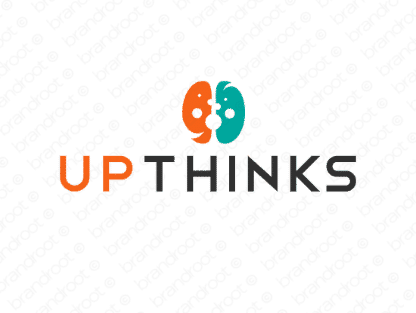 Brand upthinks is for sale on Brandroot.com! An inventive mix of "up" and "thinks" that combines positivity with intelligence. Upthinks is an optimistic and practical brand, always ready with smart solutions whether it's for health and wellness or new learning experiences. You will have full ownership and rights to Upthinks.com. One of our professional Brandroot representatives will contact you and walk you through the entire transfer process.